Charlotte Perkins Gilman was a famous American feminist, sociologist and novelist. Go through this biography to learn more about her profile, childhood, life and timeline. 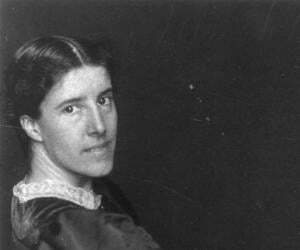 Charlotte Perkins Gilman was a prominent American novelist, feminist and sociologist. Her best-known work today is her semi-autobiography, ‘The Yellow Wallpaper’. Through this particular work and many more of her works, she became an inspiration and a role model for the next generation of feminists who were in awe of her avant-garde concepts and lifestyle. Some of her other greatest works of non-fiction include, ‘Women and Economics’ and the magazine, ‘The Forerunner’. 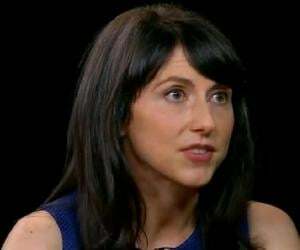 She believed that women needed to have strong financial independence during their lifetime. She was also an avid proponent of the women’s suffrage movement and worked a great deal throughout her lifetime so that women received the status that she believed they deserved. Throughout her illustrious career, she produced a number of highly celebrated fiction and non-fictional works and also wrote a number of poems, essays and critiques, which are still studied today in modern times. Many of her works went on to become instant best-sellers and she was lauded internationally for her never-say-die spirit and her perseverance. 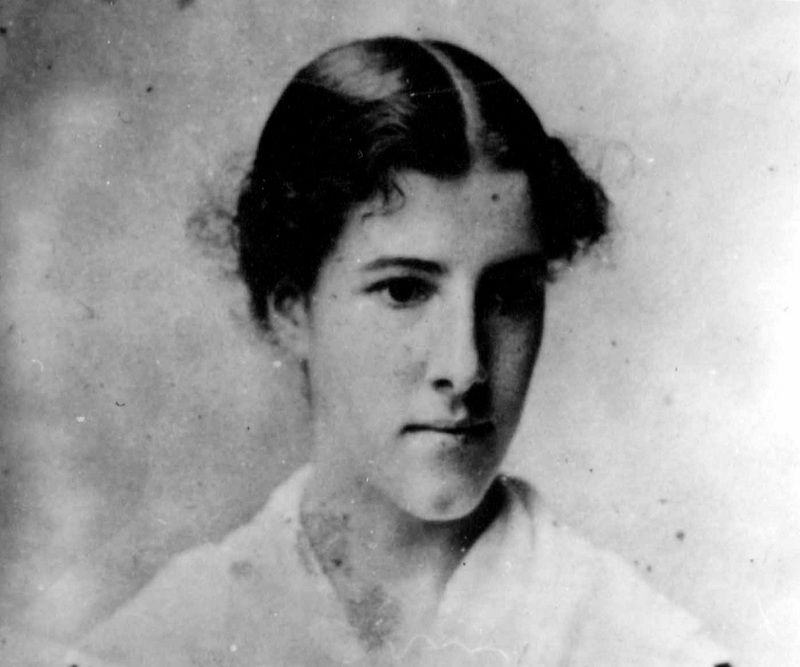 Towards the end of her life, she suffered from cancer and then ended her life because she was terminally ill.
Charlotte Perkins Gilman was born to Mary and Frederic Beecher Perkins in Hartford, Connecticut. She had a brother, Thomas Adie, who was only a year older to her. She had a very difficult childhood as her father abandoned her mother, leaving them in a penniless state. She taught herself to read at the age of 5 and she spent the rest of her youth in Providence, Rhode Island. She studied at a number of public schools and became a correspondent student of the Society to Encourage Studies at Home. However, she studied only till she was 15. In 1878, she joined the Rhode Island School of Design and managed her finances by working as an artist of trade cards. She also became a tutor during this period and encouraged others to develop their creativeness. She was a member of a number of feminist, reformist organizations such as ‘The Pacific Coast Woman’s Press Association’, the ‘Woman’s Alliance’, the ‘Economic Club’ and the ‘Ebell Society’. In 1888, she published her first book, ‘Art Gems for the Home and Fireside’, which went on to establish her as a professional novelist. In 1890, she was motivated to write fifteen essays, poems, a parable, and the short story, ‘The Yellow Wallpaper’, which was a semi-autobiography on her life and which went on to become an instant best-seller. She gained worldwide attention with her first tome of poetry titled, ‘In This Our World’, in 1893. During this time, she also began giving lectures on Nationalism, which gave her a stable source of income. From 1894 to 1895, she served as the editor of the magazine, ‘The Impress’, a literary tabloid that was published by the Pacific Coast Women’s Press Association. In 1896, after she moved to Pasadena, California, she organized a number of social reform movements. She embodied the Suffrage Convention in Washington DC the same year. After years of travel, she wanted to document her thoughts on sexual relationships and economic capacities for women and she thus, went on to publish, ‘Women and Economics’ in 1899. In 1903, she wrote one of her best-known works, ‘The Home: Its Work and Influence’. Three years later, she wrote and independently managed her first magazine, ‘The Forerunner’, a feat she accomplished for one decade. The next year, she published another one of her well-known works, ‘Human Work’. From 1906 to 1910, she published a number of short-stories including, ‘According to Solomon’, ‘Three Thanksgivings’, ‘When I Was A Witch’ and ‘The Cottagette’. From 1910 to 1911, her magazine ‘The Forerunner’ published her utopian works, ‘What Diantha Did’, ‘The Crux’, ‘Moving the Mountain’ and ‘Herland’. A number of her articles were also published in the magazine during this time. In 1925, she began work on her autobiography, ‘The Living of Charlotte Perkins Gilman’ and the work was published only posthumously. Five years later, she authored the non-fiction work, ‘Our Changing Morality’. ‘The Yellow Wallpaper’, a 6,000 word short-story, semi-autobiographical account is regarded one of her greatest literary masterpieces. It was published in 1892 by ‘The New England Magazine’, which went on to become one of her most influential works illustrating the 19th century attitudes towards women. The work became so popular that it has a number of adaptations in the form of paintings, audio plays, filmsn such as ‘The Yellow Wallpaper’, music and even television shows. She theorized and initiated ‘The Forerunner’, her own magazine in 1906, which is currently regarded as one of her greatest literary accomplishments. She wrote and edited this magazine single-handedly from 1906-1916, which included some of her greatest essays and short stories including, ‘Moving the Mountain’, ‘Herland’ and ‘The Crux’. She was inducted into the National Women’s Hall of Fame, posthumously, in 1994. In 1884, she married Charles Walter Stetson, an artist and she had a daughter with him, Katharine Beecher Stetson. Right after her delivery, she suffered from life-threatening post-partum depression. In 1894, she divorced her husband and she moved with her daughter to Pasadena, California. She later sent Katharine to live with her father and his second wife. 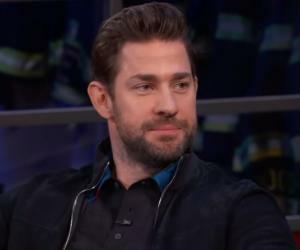 She became romantically involved with her first cousin, Houghton Gilman after spending a substantial amount of time with him and described their relationship as ‘pleasurable’. She married him in 1900 and the marriage continued till Houghton’s death in 1934. She was diagnosed with terminal breast cancer in 1932 and she decided to end her life with an overdose of chloroform, citing that it was better to die of chloroform than of cancer. She committed suicide on August 17, 1935. Her autobiography, ‘The Living of Charlotte Perkins Gilman’ was published right after her death. Her works are now being revived and are being republished for modern day feminists and feminist institutions. This famous American activist, feminist and author of ‘The Yellow Wallpaper’ fame, was the great-granddaughter of Lyman Beecher and the grand-niece of Presbyterian minister, Henry Ward Beecher.